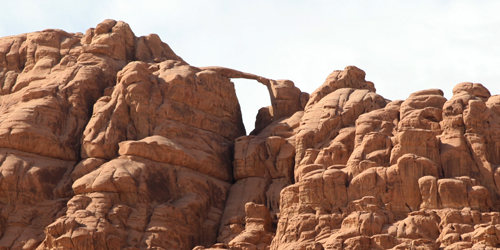 Burdah Rock Bridge is a popular climbing destination. It takes around 5 hours to the top. 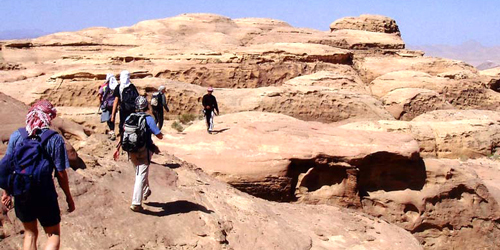 Our qualified Bedouin mountain guide will lead and assist you, at some parts with a rope. 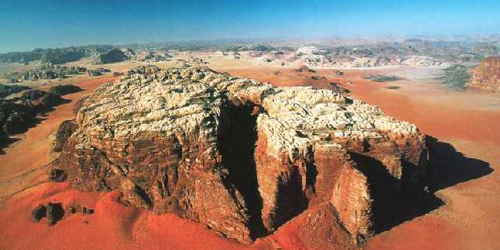 This is a marvellous and exciting outing and the views from the top are among the best in the whole Wadi Rum area. We start at the west side of Jebel Rum by the traditional bedouin route. This climb is rated grade 3 on the French system. We will take some special equipment for safety - it's likely to take us about 4-5 hours. Count on about 10-12 hours for the full day. You can stay overnight here as well. This is perhaps the most dramatic one of the Wadi Rum mountains and one of the most beautiful places to scramble for experienced mountaineers. It's a difficult climb and not recommended for novices. We offer a half day, an overnight trip, and a one or two day "cross Khazali" trip on this mountain. Price: Starts with 150 JD for a 1/2 day trip, 220 JD for a 1 day trip. Includes guide, equipment and all meals. Click on the "more details" button to see all prices. This is an easy hiking tour with no difficulties involved. We vary simple walking with trips in a jeep. You'll see the Makharas Canyon, Um Ishrin, Barragh Canyon, Jebel Burdah, Jebel Khasch, Wadi Nachra Canyon, Jebel Abu Hamata and Jebel Qatar. Expect around 3-4 hours hiking and walking each day. 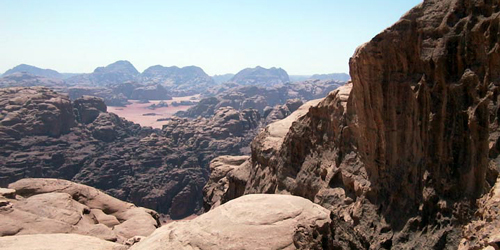 If you are looking for other tours in Wadi Rum there are a number of possibilities that can be added on to any of the other trips. Look as well for our one day programs, two day programs and three and more day programs. You can find our general information about our tours here.